World number one golfer and UNICEF Ambassador Rory McIlroy has announced that he will visit Haiti April 1–2 to support UNICEF’s lifesaving work in the country. While in Haiti, the current US PGA golf champion will visit schools and communities that are benefiting from UNICEF-supported projects to improve child health and education through the provision of clean water and improved hygiene. McIlroy’s first visit to Haiti with UNICEF was in 2011. “We’re thrilled that Rory has decided to support our work by taking time out from his busy schedule to assist our on-the-ground efforts to transform the lives of children in Haiti”, said Peter Power, Executive Director of UNICEF Ireland. "While progress has been made since his last visit, there is still a great deal of work to do to ensure that every child in Haiti has access to health services, education and clean water. As a global golf superstar, Rory is a role model for so many children throughout the world and his dedication to improving the lives of some of the world’s most vulnerable children is inspiring. This is Rory’s second visit to Haiti. From his last visit, he has a clear understanding of the challenges which children here face on a daily basis. Haiti was devastated by the 2010 earthquake and the people of Haiti have suffered a great deal. We are responsible for ensuring that children there are not only given a chance to live and be healthy, but also to thrive." 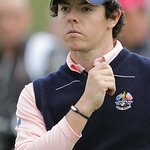 “Thankfully, I have experienced some success in recent years and this is an opportunity for me to use that success to support a great organization,” said Rory McIlroy. "It has been nearly two years since my last visit to Haiti and I’m really excited to be going back. Haiti is an inspiring and humbling country where children face daily struggles and deprivation unnecessarily. If my presence there helps to create international awareness of the difficulties Haitian children face, then I am delighted to help. Rory McIlroy has been a UNICEF Ambassador since 2011. He will compete in the 2013 Masters Tournament in Augusta a week following his trip to Haiti with UNICEF.